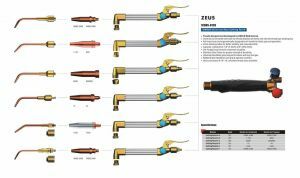 Uweld Technologies present its new universal gas cutting torch Zeus and the new mapp torch Triton. 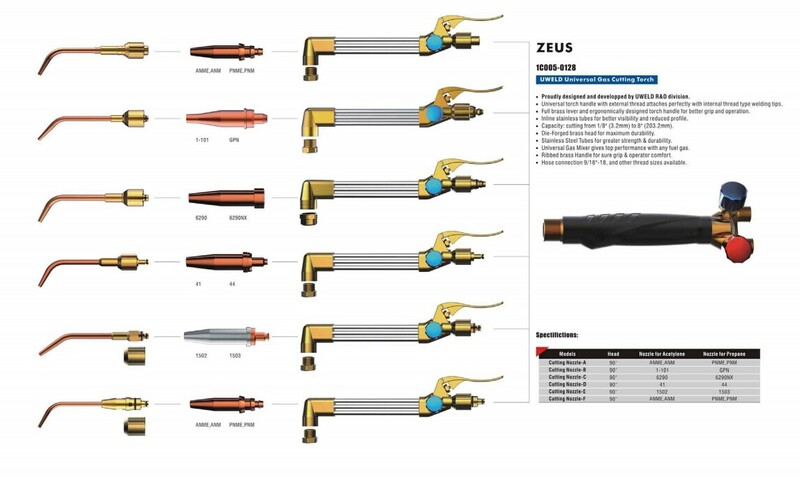 Propane: soft solders 1/8" to 2", Silver brazes 1/16" to 3/4"
MAPP: soft solders 1/8" to 3", Silver brazes 1/16" to 1"
Proudly designed and developped by UWELD R&D division. Newly designed handle with unique appearance. Curved entrance protecting the cable from bending even breaking. Extra plastic plugs isolating the screws from metal scraps, preventing electricity conduct. 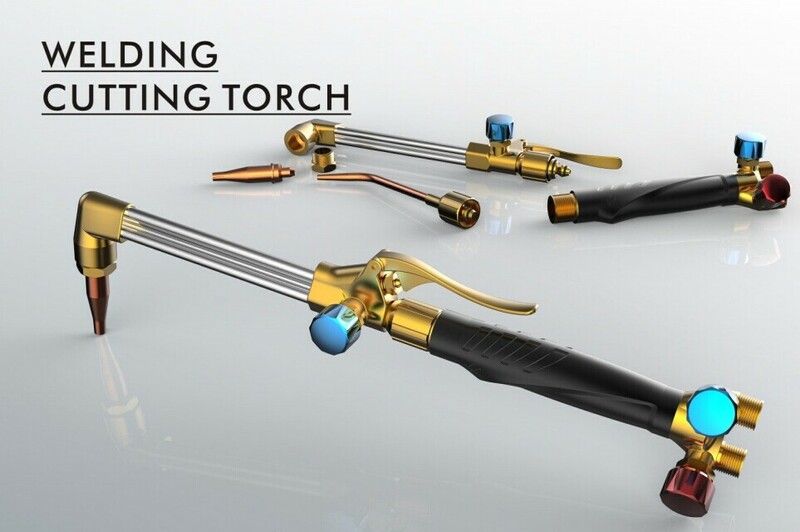 Forged full brass jaws for good electrical conductivity. 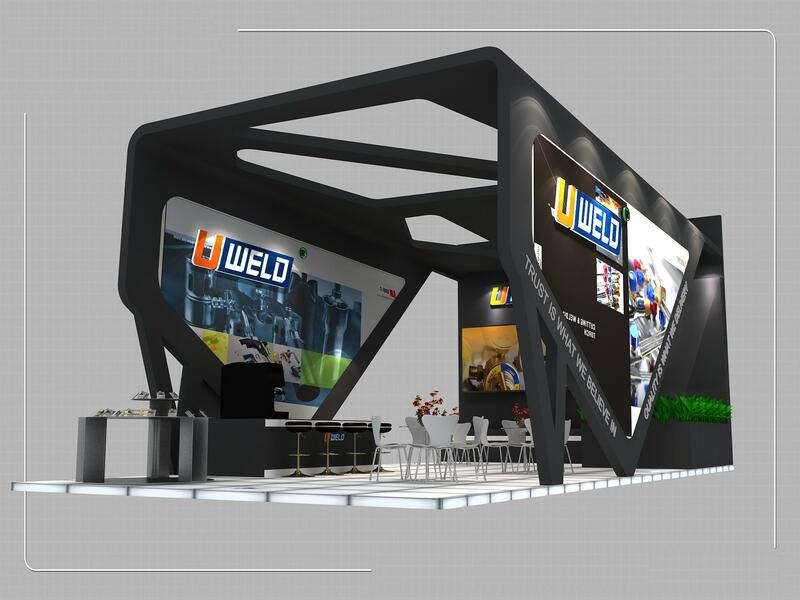 UWELD TECHNOLOGIES CO., LTD was officially founded in the year of 2006 as a specialized manufacturer and exporter of professional gas welding & cutting torches, heating torches, pressure regulators, as well as accessories and spare parts in gas equipment industry. With the combination and support of four plants, whose manufacturing backgrounds can be traced back to the early 1970’, we enjoy quite a reputation in the domestic market all over China and also international markets in over 50 countries mostly in North America, South America, Southeast Asia, and some European countries at the same time.